The best among the rest deserves to take the number one spot, and that is undoubtedly Aimersoft DVD Ripper. Why is that? This amazing DVD ripping software is the fastest among the rest by a mile, with speeds of up to 6x than its leading competitor! DVD movies can be converted into SD formats and popular HD formats like AVI and HD AVI, HD WMV and MOV, MP4, MPEG, MOV, FLV, MKV, 3GP and many, many more. You can even get 3D video formats and preserve them in their full, crystal clear glory. The software's interface is also built with the consumer in mind- easy, intuitive, and there are a lot of presets that they can use for a one-click operation. Transferring your favorite DVD into a portable format is easier than ever. 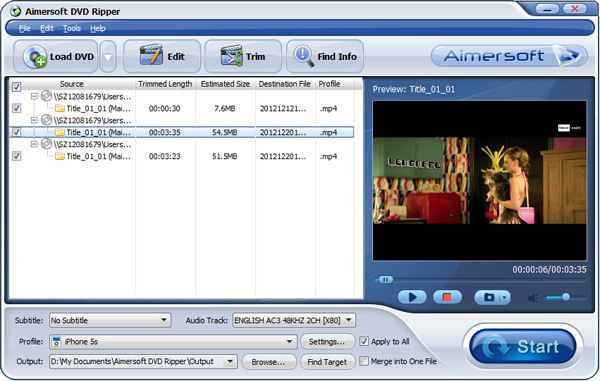 Aimersoft DVD Ripper is updated with the latest formats, even online streaming ones! Support is fully given, and all the types of protection barrier is overcome to provide you a one-stop ripping software that you will ever need. Sony ARccOS, PuppetLock, RCE, CSS and Region are among the ones that the Aimersoft bypasses with ease. Uses Aimersoft's Nvidia CUDATM Technology to have your computer's graphics processor do the bulk of the work, making your computer more responsive to other work that you may be doing. This allows you to multitask between finishing that work presentation while waiting for your DVD to be ripped and transferred to your portable media device. 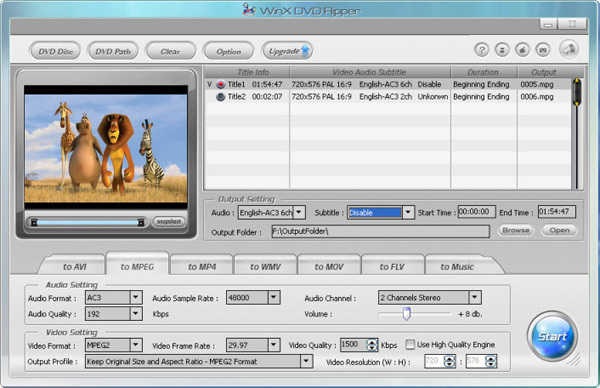 A built-in video editor allows you complete control over how your DVD will look and sound like when the ripping is done. Aimersoft allows you to add in fantastic visual effects, crop and trim the video to make it more appealing, add watermarks or subtitles, change the audio and video parameters, and rotate the video for a perfect conversion. No live support, but you can peruse the main website for all the FAQs and tutorials that you will ever need. WinX DVD Ripper gets into the top 5 DVD ripping software for Windows 10 because it is very easy to use. Like any good DVD ripper, it offers a free version that converts your favorite DVD to most known and popular formats, including DVD to MP4, AVI, H.264, MPEG. It also converts your DVD according to device-specific formats, with a choice to convert and rip the DVD to Android, iPhone, Apple TV, PSP using a simple tab style interface. An added feature that this nifty software provides is the ability to rip DVDs that are copy-protected. It can remove region codes, UOP and DVD CSS protection as if it weren't there! High speed ripping software that uses your CPU technology (Hyper-Threading, Support for multi-core) to optimize efficiency while keeping the video and audio quality in top condition. The interface is neat, and everything that you need is under one large but uncluttered menu. Ripping beginners and newbies will feel right at home. Caters to a wide variety of popular video formats for output, but it does not support all portable device video formats. DVDShrink made it to the top 4 because of its straightforward name, and an excellent feature that not many DVD ripping softwares have. There was a time that DVDShrink ruled the DVD ripping landscape, but alas, further development has been halted since its release. Still, there is no denying that DVDShrink excels at compressing DVDs down to the 4GB format. It can further optimize and shrink down videos and audio by being able to discard or re-encode any extra content that you may not need. The interface is a standard windows-style menu that is intuitive and easy to follow. No need to worry about DVD protection since this software was made to bypass various protection schemes when it was being developed. Excellent compression capability without compromising audio and video quality. Can convert 8GB DVDs into the more popular and widely used 4GB formats. Menu is clean, buttons and the overall software is very responsive. Developers say that DVDShrink will always be free for everyone! Has not been updated ever since release in 2005. This DVD ripper may not be able to handle newer DVD copy protection technology. This DVD ripper software is simply fabulous! This commercial ripper removes any and all protection that might hinder you from backing up your DVD into better formats. The creators have taken great effort in regularly updating the software to include the most current DVD copy protection schemes. Their Blu-ray ripper is a standalone feature that specializes in converting your discs to popular formats, and that includes portable media devices. The program also works if you are in a hurry and just want to copy the actual movie and leave out the bonus features. You can even add special effects, and tweak the output audio and video to completely customize your ripping experience. Constantly updated and has the latest technology that bypasses most DVD and Blu-ray protection. Great customization options in an easy to read interface. This software can encode up to 2 audio languages and external subtitles in one video! Menu might be too complicated, and you may have to wait for the developers to release a version that can bypass the latest DVD protection technology. Handbrake might be a unique name for a DVD-ripping software brand, but makes it to the top 2 for many reasons. First, it is touted as 100% free and open source, and claims to convert or rip all DVDs into almost every format available. There are device presets that make ripping into a one click affair. Just choose from the drop-down menu, and you are ready to go. DVD rippers also can go the long route and customize nearly all aspect of their beloved DVD conversion, with settings that only they can fathom. 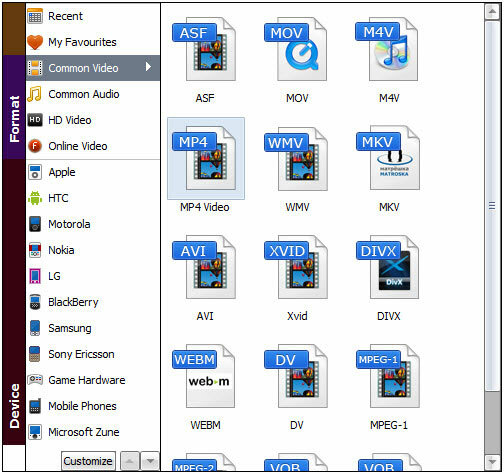 You can even set Handbrake to decode and convert your complete DVD collection in one batch and come back at it to find the job done. Convert your favorite DVD into any format that you want it to be. Handbrake supports a great number of playback devices for maximum compatibility. Batch encode all your media in the easiest way possible. Does not include removal of copy protection, and you may have to rely on other software to do this particular job. Primarily, please ensure that the sole purpose of DVD ripping would be for your personal use prior to learning how you can do it. Here's a full step-by-step instruction that will serve as your ultimate guide when ripping a DVD to any format on your pc. Simply follow these steps in converting your home DVD to any regular video or audio format that will be compatible with various devices you typically use everyday including the iPad, iPod, iPhone, Apple TV, Xbox 360, PSP, PS3, Zune, and other types you may have. Initiate the process by inserting your disc into the DVD-Rom of your computer. Start up the Aimersoft DVD Ripper Software then click the button that is labelled Load DVD with the disc icon embedded with the plus or add sign. Files like ISO, IFO or a specific DVD folder may be imported as you require for conversion. If you wish to convert all DVD titles and have them incorporated in just one huge file, you can do so by easily ticking the Merge into One File option. This works by combining all the files you have added. Click the dropdown for Profile situated right under the window where your DVD files are shown. Choose the format you want from the list you will be presented with. Below the Profile is the Output dropdown, where you are enabled to browse your computer to set your preferred destination folder. This denotes where the DVD Ripper will save your output files, or converted movies for easy retrieval later on as well as your utmost convenience. You will see all types of formats for video and audio such asMKV, MOV, WMV, MP3, WMA, AVI, FLV, M4A, WAV, and more which makes the Aimersoft DVD Ripper ideal for use. For converting movies for use on portable devices, like the aforementioned Apple brands, as well as HTC, Motorola, Nokia, Samsung, Sony, various Game Hardware and other mobile phones, all you have to so is simply click on exactly what you want since it's all provided for. The output videos are automatically optimized for your certain device, and everything can be easily synced to iTunes if you desire. Advanced users can explore more by clicking on the Settings button, located right beside Profile. This is where you can adjust the resolution of your output video or audio, the frame rate, and the bit rate for better customization to achieve the highest quality output. On the main window and the same bar where you clicked on Load DVD, click on the button Find Info this time. A window will pop up, allowing you to search the DVD movie's metadata. 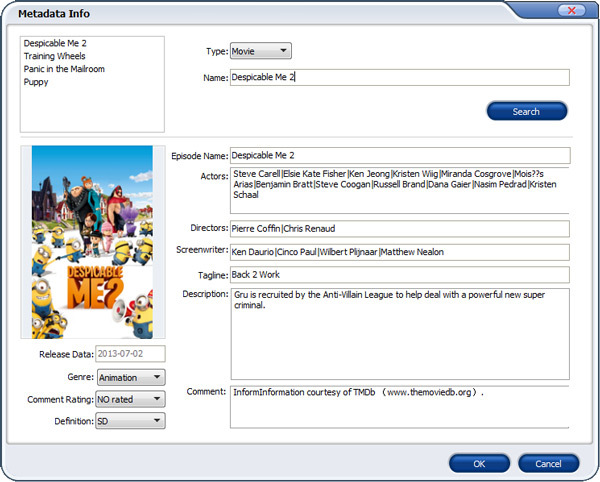 All that's required from you is to enter the name of the movie and hit the search button to start metadata searching. You gain details on the movie descriptions, actors, the director, genre, release date, and other information you are interested in. Note - The movie information below is sourced from TMDb (www.themoviedb.org). Searching movie metadata applies only when your target output format is MP4, M4V, MOV, or it is for any of the iDevices. Upon following through all the steps and have already decided and selected the format output file, then you're all set to perform the DVD rip! Just click the Start button and let the Aimersoft DVD Ripper software do its seamless task of converting the DVD movie you have picked. The time it takes for the entire ripping process lies on the duration of the movie and the quality of the final output settings you have defined. Now all that's left is to wait for the conversion to be fully accomplished, and it will be well worth your time with Aimersoft. When done, click on Find Target alongside Output and Browse at the bottom right of the main window to quickly get to your converted video files and enjoy your movie! If you want more personalization, you can also use this exceptional DVD Ripper to edit, crop, combine, and do other forms of editing to your DVD movie. This is the functionality of the Edit or Trim buttons found in your menu bar. Today's popular and fastest DVD ripping software, the Aimersoft DVD Ripper proves to be your best choice. It holds the ability to convert any DVD movie to all known SD and HD video formats, and makes it playable and conveniently accessible via any device. Converting DVD to video impressively includes 3D formats, and even online video format to stream DVD. You are presented with 175 presets tailored to the specific device you own, and you can extract audio tracks or background music with great comfort. DVD ripping can be achieved without encountering any hassle and barriers like restrictions including those encrypted by CSS, RCE, Region with the superior support it provides. The process itself is executed 6 times faster yet gives off excellence in terms of quality, which is unbeatable! It's quite a powerful and innovative tool that is versatile since it goes beyond giving you ripped videos from a myriad of sources it is capable of converting. This DVD Ripper lets you perform basic video editing tasks on top of it whether cropping, trimming, or watermarking your files. Life is made easier, which is utterly beneficial for the fast-paced modern lifestyles of many individuals today. Sure enough, you would like to get the best out there, and what you get is way beyond once you experience this awesome tool. The Aimersoft DVD Ripper produces exactly what you want which is made possible through a simplified ripping process. With a user-friendly interface that's easy to use, it allows beginners to find their way through effortlessly, while experienced individuals will be delighted as it renders them more efficient yet still come up with great results! How to Convert ISO to MOV for iPhone, iPad, iPod, etc.